If saving money is difficult, perhaps you need a super cute and amusing way to save, such as this crafty panda/cat bank. That a face of pure facial expression, a pair of innocent eyes, a meow sound, am I like the thief? 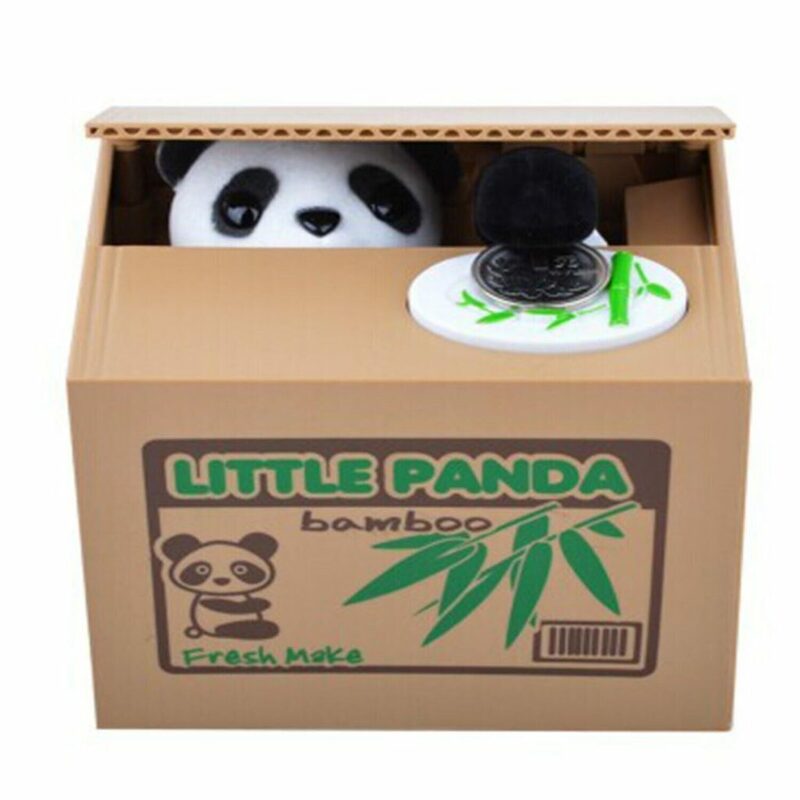 You just need to put your coin on the plate and the panda/cat will sneak out and steal it and say “thank you” in English,which is very funny and creative. This funny money box is a perfect gift for your child to save his/her pocket money. Hi Kelly – there was an error in our link. This has been corrected, so you can now complete the form to request this free toy. Hi Catrina. Just follow the link and submit your request for this toy. Cheers! Can I have one for my son, please?